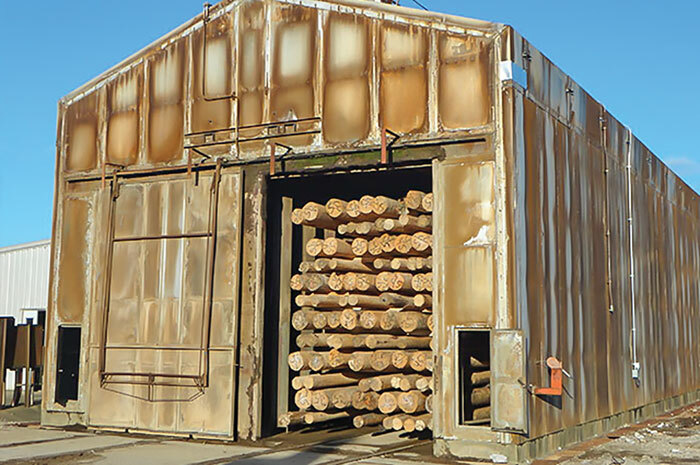 Timber Processing magazine’s April 2015 issue features Eugene, Oregon’s Northwest Hardwoods and their significant kiln efficiency improvements at West Coast mills. Also featured is Prince George, B.C.’s Lakeland Mills and their new sawmill and comeback from their 2012 deadly explosion. A special section highlights companies who will be exhibiting at LIGNA 2015, coming May 11-15 to Hannover, Germany. Other articles cover the latest industry news and new projects. Timber Processing magazine Managing Editor Dan Shell travels to Eugene, Oregon to visit Northwest Hardwoods. 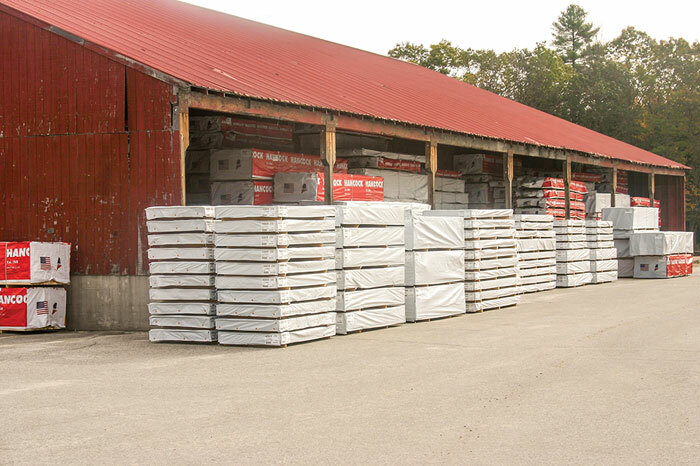 Recent dry end improvements here at Northwest Hardwoods’ sawmill have significantly reduced drying times while boosting dry kiln throughput. 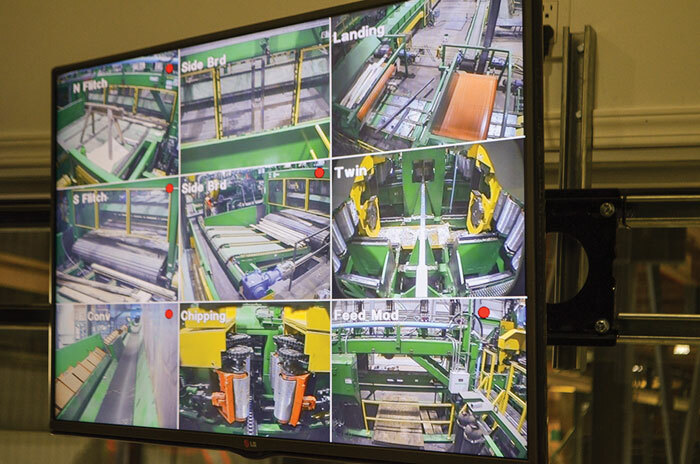 The increased dryer production has been accompanied by a boost in product quality at the mill, which operates 11 kilns and also dries and surfaces lumber produced at other Northwest Hardwoods mills in the region. 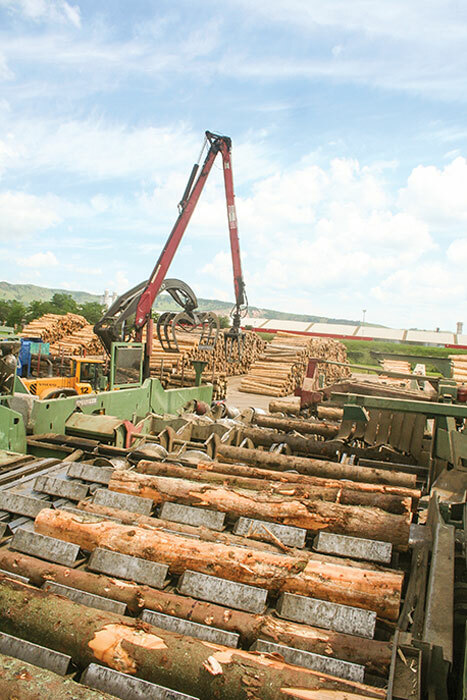 The Eugene mill is one of 12 Northwest Hardwoods manufacturing operations spread across the U.S., from three mills apiece in Oregon and Washington to mills in six additional states. 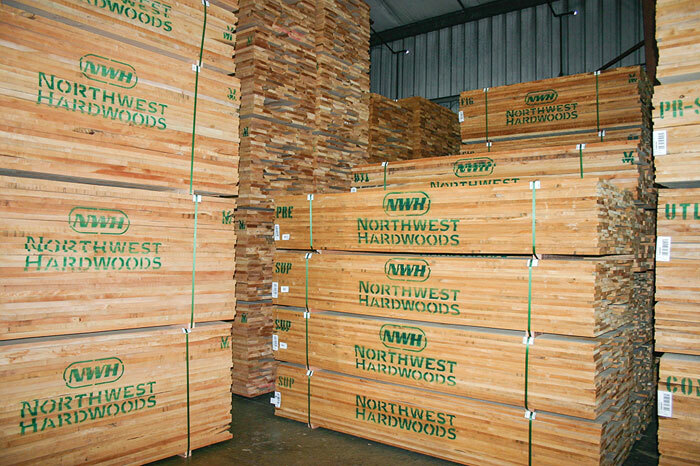 And Northwest Hardwoods recently made a big leap in overall size and output after acquiring Industrial Timber & Lumber of Beachwood, Oh., which produces more than 200MMBF annually from multiple locations. (This article, written by Andrew Macklin, originally appeared in the January/February issue of Canadian Forest Industries magazine and is printed in this issue of Timber Processing magazine with permission.) 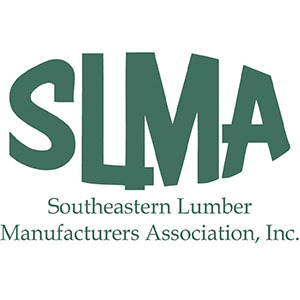 Rebuilding the Lakeland Mills sawmill following the tragedy of April 2012 was clearly not an easy decision for Sinclar Forest Products Ltd. President Greg Stewart. The explosion at the mill left two workers dead and several others seriously injured. The explosion leveled the sawmill, leaving nothing but a piece of charred land where the mill once stood. It took nearly a year of consideration before the formal decision was made in March 2013 that the mill would be rebuilt. The Stewart and Andersen families have a long history in the sawmill industry in Prince George, and there was a strong business case for constructing a new mill. The following companies are advertising in this issue of Timber Processing magazine and also exhibiting at the upcoming LIGNA fair, to be held in Hannover, Germany on May 11-15: Actiw LoadPlate, Brunson Instrument Co., CHACO, Delta, Dynalyse, EWD, Heinola, Hildebrand, Innovativ Vision, Jartek Invest, JoeScan, LIMAB, LINCK, Longato, Mebor, Metriguard, Microtec, MUDATA, Muhlbock, RemaSawco, Sennebogen, SERRA, Soderhamn Eriksson, Springer, Storti S.p.A., TS Manufacturing, USNR, USTUNKARLI, Valutec, Vollmer, Weinig Group, and Wintersteiger.